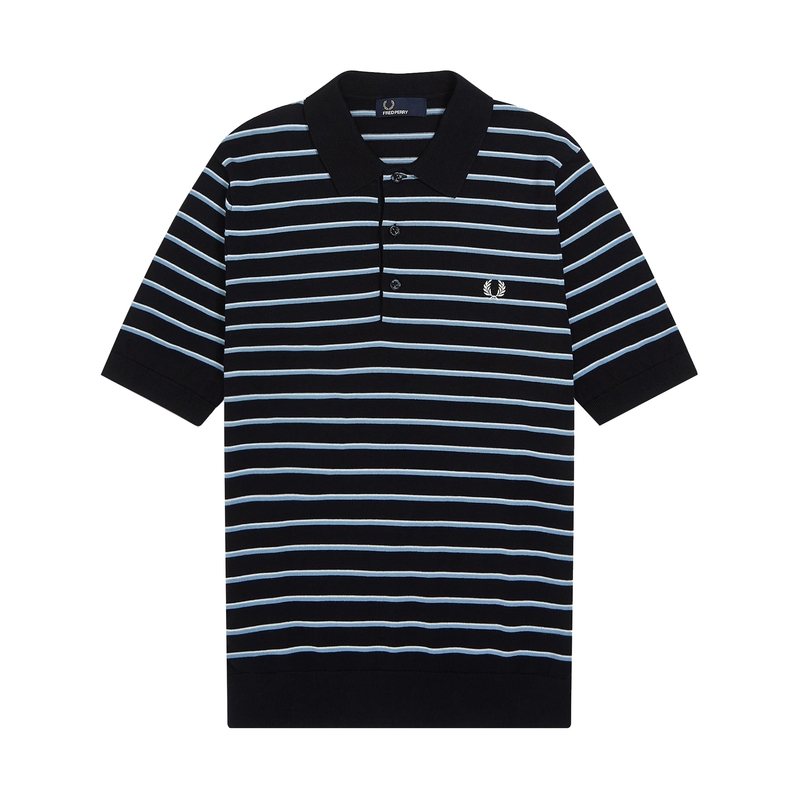 A modern day classic that plays upon Fred Perry's heritage and expertise when it comes to crafting a Polo Shirt this Fine Stripe Knitted Polo catches the eye with a horizontal two tone stripe detail across the body and arms whilst utilising a knitted high-twist cotton for a soft and comforting feel. Borrowing design cues from 60s Polo Shirts and European Knitwear - an era which saw the classic sportswear garment cross over into leisure wear - this Navy iteration see's a three button placket complimented by tonal button details and ribbed trims at the cuffs and hem. Finished with a signature embroidered laurel wreath at the chest the piece is the perfect choice for those looking smarten up seasonal casual wear over the course of the coming months.